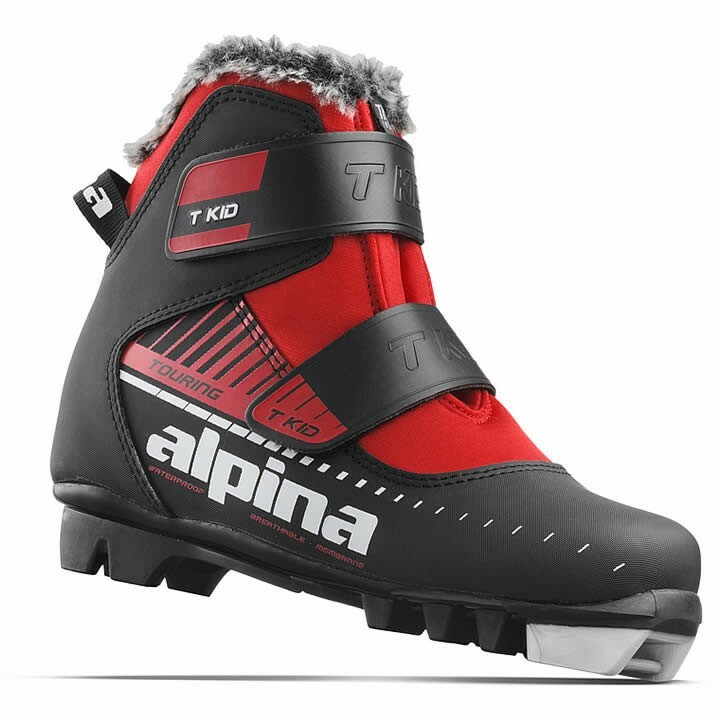 The Alpina T J Kid Junior Nordic Touring boot features Thinsulate insulation and a 4Dry Weave Gaiter to keep your child's feet warm and dry on your next touring adventure. Thinsulate Insulation: Provides up to twice as much thermal shoe insulation. Even under extremely cold and high-humidity conditions it provides the foot with maximum thermal comfort. 4Dry Weave Gaiter: Woven textile configuration makes the boot water impermeable and allows it to breathe. Water vapor passes out of the boot, so the boot interior stays warm and dry for maximum comfort. Anatomic Footbed: Insole contributes significantly to the vertical stability of the foot, providing a high level of comfort and improves the thermal insulation of the shoe.